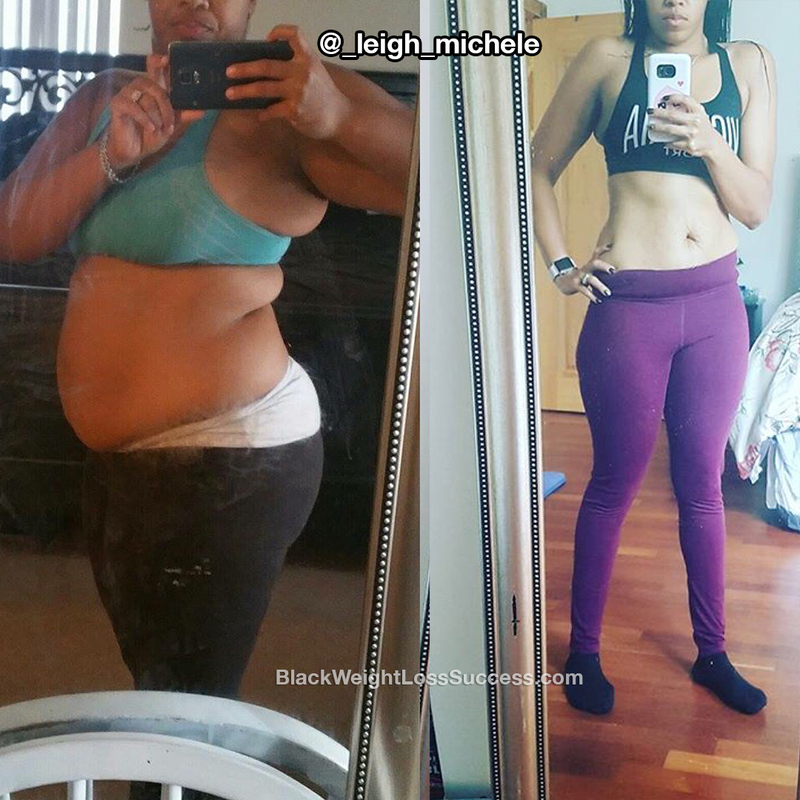 Transformation of the Day: Michele lost 73 pounds. 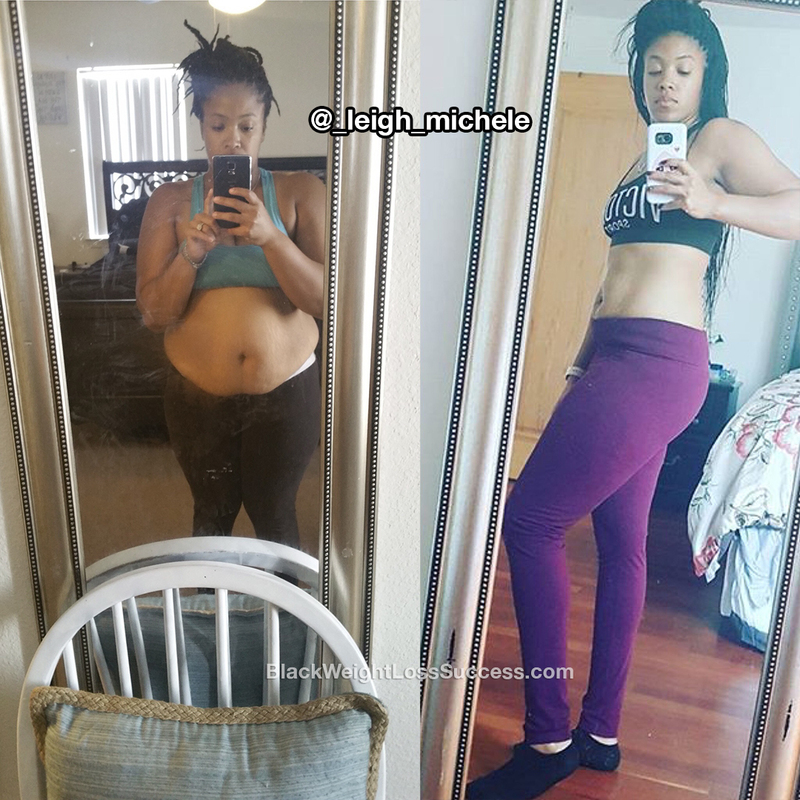 This army wife and mother of 5 learned the importance of eating real food, exercising regularly and being consistent. Check out her results. Hi!! I’m Michele Brooks. I’m an army wife and mother of 5. I started my weight loss journey 2 years ago at my heaviest weight of 208 pounds. I currently weight 135 pounds. (height: 5’1″) I was tired of being fat and I didn’t want to be the fat wife. I just wanted a healthier life. At first, my motivation was mostly about looking good. Now, it’s about health. I workout 5-6 days a week. I love Body Pump by Les Mills, Crossfit and running. The best at home program I’ve come across is Results in 28 Days. I eat REAL FOOD! Food that isn’t bagged or canned. Food that doesn’t have commercials on tv. I drink green smoothies to get raw veggies into my body quickly. I attribute most of my weight loss to the smoothies and my dedication to the gym. I also learned a lot about what real food really is through documentaries such as Vegucated, Food Choices, Fat Sick and Nearly Dead, Hungry for Change and Fed Up and, my favorite, Feel Rich. The biggest lesson I’ve learned about living a healthy lifestyle is that consistency is key. If you want results, you have to be consistent with your eating and consistent in your workouts. If you want to lose weight, my first piece of advice is to make up your mind that that’s what you want to do. It is so much more mental than it is physical. You’ve got this! Also, don’t compare yourself to others. I believe in a You vs. You mentality! Follow me on Instagram: @_leigh_michele. I share workouts, inspiration and photos of what I eat! You are an inspiration! I do walk and getting back to the gym. It’s a slow journey but I am determined to get back to ME!!!!!!!! You look great! Really fit and healthy…….way to go! Thanks for mentioning Feel Rich. I forgot that I wanted to look at it on Netflix and I’m glad I did. Your pictures are so inspiring!! !